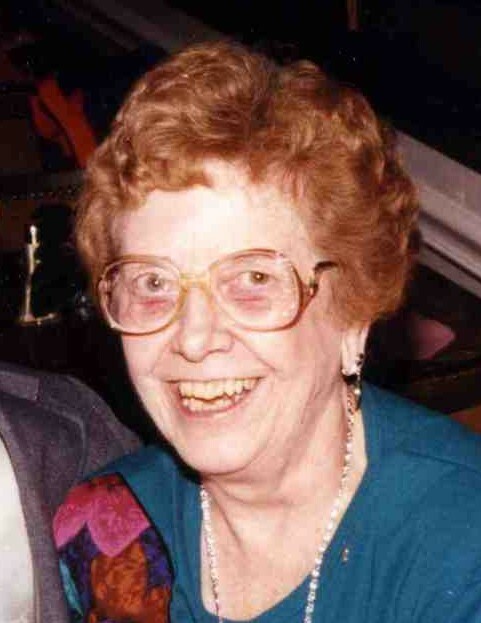 Obituary for Hilda (Roberts) Guido | Cheche Funeral Home Inc.
Hilda Roberts Guido, formerly of Johnson Drive, Aurelius, passed away Sunday, Feb. 10, 2019, at The Auburn Nursing Home. Hilda was born in Moravia, and was the daughter of the late James and Mabel Haynes Roberts. She was a communicant of St. Mary’s Church and was a graduate of Moravia High School. She worked as a bookkeeper in numerous commercial locations in the area and ultimately as a clerk with the Cayuga County Board of Elections. Mrs. Guido was a charter member of the Moravia Fireman’s Auxiliary, where she was active for the past 60 years. She was also a member of the Italian Heritage Society. Hilda is survived by Ralph's children; his son, Thomas Guido; his two daughters, Catherine Garropy and Mary Husebo, and by numerous cousins, nieces, and nephews stemming from the Mulvaney, Guido, and Roberts families. Mrs. Guido was extremely fortunate to be additionally survived by a very special and caring niece, Mrs. Faye Hatfield, as well as her husband, Gary, of Moravia. Beside her parents, Mrs. Guido was predeceased by her first husband, Mr. Thomas Mulvaney, who tragically perished in a car accident in 1949. Hilda held precious her relationship with his family and has maintained it over the years. Hilda also lost her second husband, Mr. Ralph Guido; as well as her brother, Mr. Edward J. Roberts. A Mass of Christian burial will be held for Mrs. Guido at noon on Wednesday, Feb. 13, in St. Mary’s Church. Entombment will follow thereafter in St. Joseph’s Cemetery Mausoleum, Fleming, N.Y. Calling hours will be conducted on the same day from 10 to 11 a.m. on Wednesday at the Cheche Funeral Home, 1778 Clark St. Road, Auburn. Mrs. Guido was an affectionate woman with a pleasant look on her face at all times. However, that look would turn into an infectious smile whenever she was dancing or just together with her late husband, Ralph. The family has asked, that contributions may be made in Hilda’s memory to the Moravia Fireman’s Auxiliary, P.O. Box 855, Moravia, NY 13118 or to the charity of one’s choosing.